Ralph Fiennes’ third directorial feature, The White Crow is an evocative portrait of Russian ballet star Rudolf Nureyev’s early career and defection to the West in 1961. Inspired by Julie Kavanagh’s biography, David Hare’s perceptive screenplay takes us from Nureyev’s birth aboard a Trans-Siberian train to his first successful tour in Paris with the Kirov Ballet. Although born into a poverty-stricken family, his hard-working mother somehow found the funds for Nureyev’s dancing lessons while his father appears to have been largely absent during his childhood. Fiennes touches on Nureyev’s past (in a series of monochrome flashbacks), in order to illustrate what made him special – we learn early on that a “white crow” is someone who stands out from the norm. Nureyev’s defining trait is his single-minded determination to dance himself into the history books. 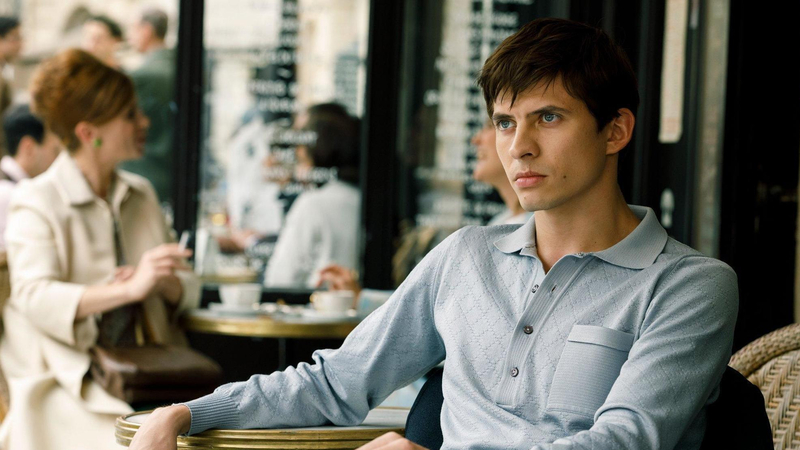 It is only during his Paris trip, befriended by French dancers and a Chilean heiress, Clara Saint (Adèle Exarchopoulos), that Nureyev (Oleg Ivenko) learns what it means to have choice. Between performances, he visits all the cultural sights and decadent night spots Paris has to offer. His apparatchik minders watch his every move and attempt to curtail his new-found freedom. There are more than a few parallels with Paweł Pawlikowski’s Cold War (2018). In both films, the communists wanted their leading lights to be feted on their terms, denying them the opportunity to develop their talents. Interspersed with Nureyev’s formative trip are scenes of his training with leading ballet master Alexander Pushkin (Fiennes). Nureyev respected his teacher, and even moved into his apartment, only to begin a claustrophobic affair with Xenia (Chulpan Khamatova), Pushkin’s young wife.